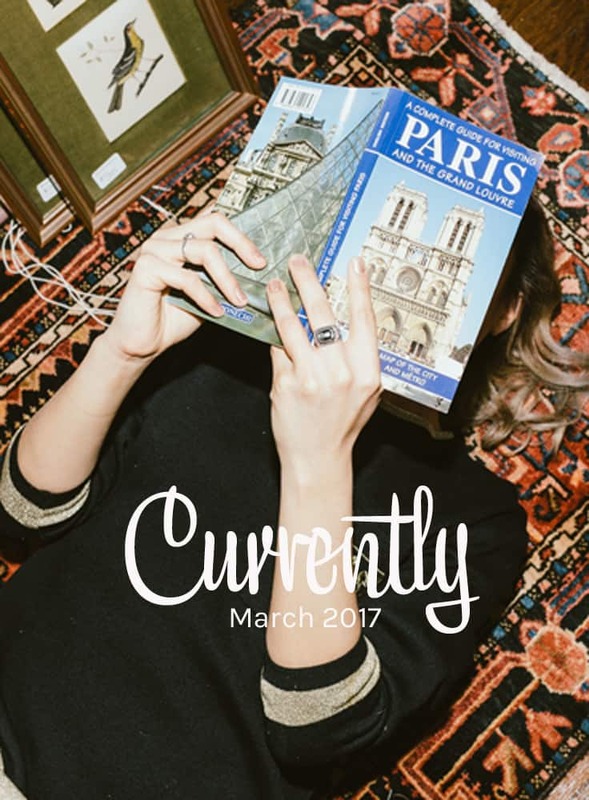 I’m kind of currently dreaming of Paris but what else is new! Watching | Top Chef & Movies. > I finished Top Chef Season 14. I was in it until the end (sometimes on previous seasons, my interest would wane at the end), the last few episodes were nerve-wracking as the last 4/5 were all veterans from previous shows that I loved. Can’t wait for Season 15! At night before we go to bed, Mr. Misadventures and I are watching movies. Now that we have a stable address we are back to getting Netflix discs (we can’t stream) plus we are now also newly addicted to Redbox. We missed a lot of movies and we are catching up! Reading | The Lost Art of Mixing by Erica Bauermeister. > I haven’t read a single additional page of The Lost Art of Mixing since last month, so I am still working on it. But I have read two really great posts online. I am a huge longtime fan of Anthony Bourdain so I loved this article that the New Yorker had on him, Anthony Bourdain’s Moveable Feast. And I also really enjoyed this Letter published by Medium on 12 things travel teaches us. I really think they nailed it. Working On | Diversifying my monetization. > That was a mouthful, hug?! I earn income on my blog almost exclusively with sponsored content. As I’m a storyteller, it’s pretty much my preferred method. But I have been thinking about other ways to monetize. I do have some services I offer, and I don’t like ads, so I’ve been slowly adding affiliate links in the most natural, holistic manner I can. I took the Making Sense of Affiliate Marketing course from Michelle Schroeder-Gardner and learned quite a bit. My goal isn’t to make $160,000 per month (yes you read that right) like she is, but I wouldn’t turn away even 1% of that! > Is that lame? I don’t have a 9-5 right now, so I am getting full nights of sleep. I don’t have to sit in commuter traffic and the bed in the RV is super comfortable. In fact, when we eventually move back into a house/condo we are ditching the Swiss bed we’ve had for more than ten years and going with the same type of mattress that we have in the RV because it is so awesome! > With the possibility of finding jobs either in Portland or Seattle, we have to be ready for next steps. That includes various combinations of RV, leasing a home, household goods sort of like the ole ‘what comes first, chicken or the egg’ scenario. It’s not complicated once we have the initial trigger, but it is just figuring out what the sequence of events will be once that trigger is pulled! Loving | The possibility of Spring. > We had a 60-degree sunny day last Friday and it is amazing how much your mood changes when there is a little bit of sunshine. It may still be cold (although 60 is not cold) but that’s okay, as long as it is a little less gloomy. Here’s to having more days like Friday and a real possibility of Spring. 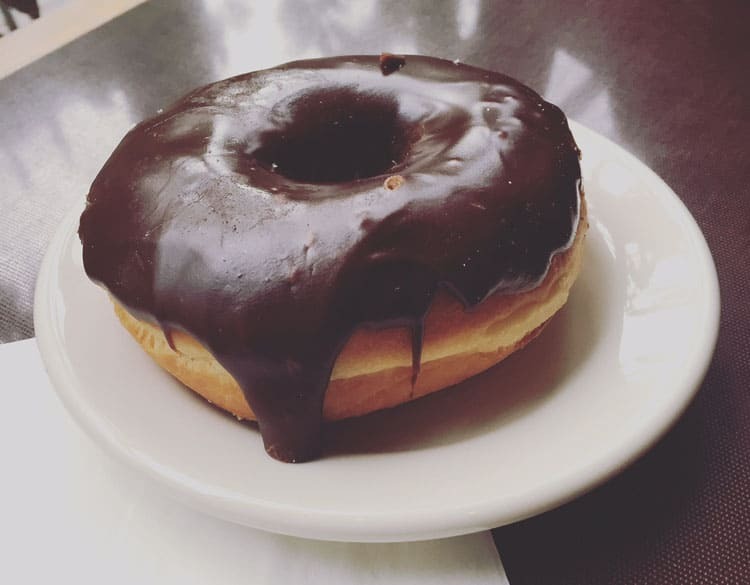 My Favorite Photo | Top Pot Doughnut. > I been to Seattle so many times but never had one of these babies. I got a classic chocolate, but now I have buyer’s remorse because my friend Kristin told me she had an eggnog one! @Katie, it’s a temperpedic and it’s amazeballs! Loved reading this! I might have to take that Affiliated Marketing course too if it’s legit. Keep us updated on your progress with that. Glad you’re getting so much rest and relaxation right now! @Martha Lynn, so far so good, I’ve learned a lot and have already started seeing my first affiliate income! I love watching Top Chef. That is a great show!! @Robin, did you watch this season? Did you like it? That doughnut looks SO delicious! We just discovered a new-to-us donut place called Kings Donuts and I am officially in love. I gotta see if they’ve got an eggnog kind! @Divya, what’s your favorite go to donut? So jealous I would love to feel well rested haha. WIth a new baby thats probably not happening soon. @Neely, yep, you’ll rest when they are in college! I’d love to be well rested. I’m almost 38 weeks and will go anyday now, so it won’t happen soon here. @Alicia, oh goodness! Rest up while you can! I LOVE Top Chef! And I hear you on the sponsored content dilemma. (Fortunately for me, blogging is not my primary source of income.) I’d love to make money other ways through my site, but I haven’t found anything that works well – yet. Working on being well rested and diversifying income are two things I’m currently working on two! March is actually shaping up to be a fantastic month and I’m SO ready to take on spring! I’m currently feeling well rested myself. This cold weather has made me stay inside a lot more and also made me take more naps. Also, any great movies you’ve seen? @Kristin, I think affiliate marketing lends itself to certain kinds of blogs than others. I think it is more difficult to integrate into a story-telling focused blog. Having said that, I did learn a few things that I am incorporating into Misadventures with Andi. We’ve been catching up on some of the Oscars movies and ones we missed last year. One that I really loved was Captain Fantastic, if you haven’t seen it yet, I recommend it! I’ve been doing more affiliate marketing lately too. I think it’ll be a big help on my blog! Damn that donut looks so good, but I can’t eat one because I’m on diet since today, lol. I also love watching Top Chef and think they must have nerves of steel to do what they do.After reading this very interesting feature,I think you live a very busy life and I bet you are tired at night.You deserve that Temperpedic mattress. I love top chef . It is a great show. I sent you an email at misadventureswithandi.com about a possible project. Please check your spam folder and let me know if I need to re email it to you.